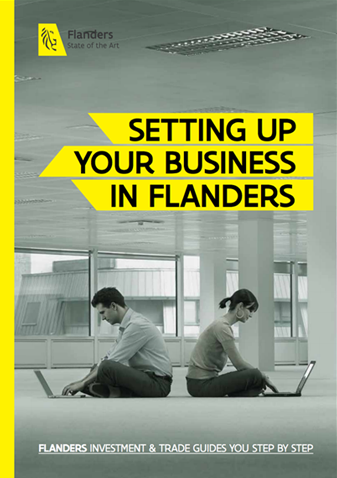 Flanders’ chemical business and knowledge ecosystem generates numerous opportunities for your chemical business. ChemTech – This dedicated research center not only coordinates the valorization of chemistry technologies, but also aims to be a focal point for industrial collaborations. CleanChem – Your gateway to all activities related to sustainable chemical technologies that target a transition from fossil to renewable resources. SusChemA – Short for ‘Sustainable Chemistry Network Antwerp’, SusChemA valorizes academic knowledge through collaborative research projects and intellectual property protection. CHIS – The Department of Chemical Engineering specializes in three main fields of research: adsorption, chromatography, and microreactors and microfluidics. SURF – This research group focuses on topics such as surface engineering of metals, corrosion engineering, eco-friendly surface treatments, electrochemical process engineering, etc. FYSC – Department of Physical Chemistry and Polymer Science. ANCH – Department of Analytical and Environmental Chemistry. COK – The Centre for Surface Chemistry and Catalysis boasts a large interdisciplinary team for teaching and research in the chemistry of the solid-gas, solid-liquid, and solid-solid interphases. TANC – Research group for applied and analytical chemistry services and collaboration. SPARC – Sustainable Polymers and Application Research Cluster. Find out more about Flanders’ universities. Training Lab Kunststoffen – Located at the T2 campus in Genk (Flanders), this training center welcomes around 1,000 professionals and students in the field of plastics processing every year. The training center is home to a large machine park equipped with hi-tech plastics infrastructure. This enables people to train in a realistic production setting under the guidance of seasoned instructors. ASOPUS – Financed by innovation hub FISCH, this user-friendly online tool provides guidance the use of (Q)SAR models, classification models used in the chemical and biological sciences and engineering. ATOM – An industrial flow chemistry platform and pilot plant for exploring the possibilities of flow technology to enhance your production efficiency. Catalisti – Nearly 100 companies and all 5 of Flanders’ universities are joining forces in Catalisti. As the new ‘Spearhead Cluster for Chemicals and Plastics’ of the government of Flanders, Catalisti aims to stimulate sustainable innovations in chemistry through intensive and cross-sector collaboration initiatives. Essenscia Vlaanderen – Multisector organization that represents the numerous activity domains of both the chemical industry and life sciences in Flanders. Essencia Vlaanderen has over 500 members. Flanders’ PlasticVision – Competence pool for the plastic and rubber converting industry in Flanders. The organization coordinates joined development initiatives, fosters cooperation between companies, and stimulates knowledge and competence creation. A division of FISCH. SusChem Flanders – Regional technology platform of SusChem Europe, the European technology platform for sustainable chemistry. Federplast – Association for manufacturers of plastics and rubber products. BlueChem – Business incubator and accelerator for a sustainable chemical industry, located at Blue Gate Antwerp.